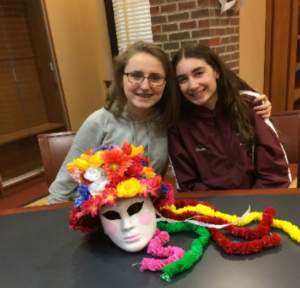 Miller Place High School students in Signor Mancuso’s Freshman Italian class recently celebrated the nearly 1,000-year-old Italian tradition Carnevale and learned more about Italian history and culture. 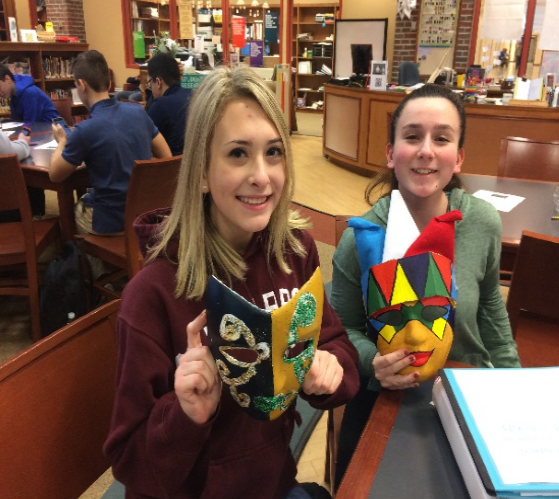 After learning about the colorful costumes and masks worn by Italian Carnevale participants and performers in the famous form of street theater—‘commedia dell’arte,’—students decorated their own masks. The masks are currently on display at Miller Place High School. During the Carnevale celebration, students studied Medieval Latin to learn the origin of the words ‘carnem levare’ and ‘carnelevarium,’ from which ‘carnevale’ is derived. Participating in the celebration was part of the Miller Place School District’s ongoing initiative focusing on using unique, creative ways to engage students in course material.